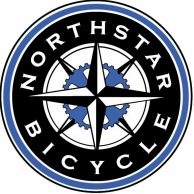 We are excited to announce we will be re-introducing a Northstar Club for 2017! The main sponsor this year will be Five Star Architectural and Dawson Vision. Followed by Tifosi Optics, SRAM, Kali Protectives, Felt, Cannondale, and Pivot Cycles. We will be working closer with some of the sponsors to get them new customers, and to offer grassroots incentives to club members. Pactimo fit kits are at the shop now through January 25th. We encourage you to take advantage of the fit kits to ensure the correct size is ordered. The material used in the Ascent 3.0 has been upgraded and fits a little snugger. ​Jersey only option is available, but a full kit(Jersey & Bib/Short) is required to receive shop incentives. We want to encourage you to purchase extra jerseys, bibs, and/or shorts. All orders will be place by you through our online Team Store. If you already know your size, just log into the Team Store and place your order. If you purchased a Northstar Shop kit in 2016, that one is good for the 2017 season. The only change in design and layout from our 2016 kit is the addition of the main sponsors, Five Star and Dawson Vision. All clothing will be ordered and purchased by each Club Member through our Pactimo Team Store. Call or email us with any questions. We are looking forward to a great 2017 season and we appreciate your continued support! Check out our 2017 Club Sponsors!